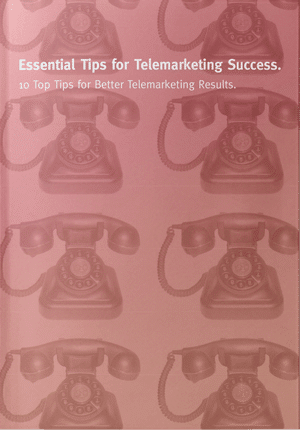 Relevance, Rapport and Reward are 3 Telemarketing Must Have’s and form part of our essential telemarketing tips. Without relevance, who is going to listen to you? Without rapport, how will prospective clients believe you? Without reward, how will you prove to them that there is something worthwhile in order for them to give you their time? I spend a lot of my time writing telemarketing tips and training on the subject of how to improve cold calling. Whilst these 3 factors are not the only ones that are important in effective calls, they are most probably the ones that have the greatest bearing on your ability to achieve your cold calling goals. The simple reality is that, on the telephone, you have only a few seconds to gain the prospect’s attention and then to engage with them sufficiently for you to keep them engaged on the call. That means your opening line must be relevant. It also means that it should be about them not you. It needs to be in their interest. We’ve all heard the expression ‘What’s in it for me’. That’s the essence and message you need to convey very early in your discussion with a prospect. It isn’t about what you do or the products or services you offer. It’s what you can do for them. It’s about their issues and their challenges and their problems that you can alleviate. Given the amount of time required just to reach a senior decision maker, it really pays to make the most of that investment once you finally get to talk to them. So, make sure you focus on how you deliver against their requirements. Why would they potentially spend thousands of pounds on your services if you come across as only interested in yourself and your business? Does that sound relevant to you? Is it in their interest? I don’t need to tell you what response the caller received. Make any conversation relevant to things going on in their marketplace or in their business. Is there new legislation or are there particular situations that mean they may need to make changes? Do your research and know your market. Is it likely that they use a particular competitor where their services are not up to your standards? Do you offer more than everyone else? Ultimately, you can’t guarantee that a decision maker will be willing to listen and to act. What you can guarantee though is that if you come in with a straight sales pitch about you and your services, your prospect won’t be of a mind to listen regardless. So, make sure you’ve thought about how you’ll make your approach relevant to them. OK so you’ve made your opening approach and it’s relevant. You’ve captured their attention with some top notch opening line that has got them interested. Where do you go from here? Well, where you don’t go is to revert to your sales pitch. The next part of the call is about building rapport. Rapport is about listening. It is about two-way flow of conversation. It is about good use of questions. It is about summarising the points and genuinely showing that you have their interest at heart. Of course you want to sell them something and they know that. However, you’ll sell more and more often if you build trust and rapport. That comes from discussing issues and solutions not from shoehorning what you’ve already decided into something they say. Too often, telemarketers talk at prospects. What the prospect says is almost incidental to what the caller has already decided to say. That’s not good quality telemarketing and isn’t going to win any opportunities with senior decision makers in big companies. The caller needs to seek first to understand through appropriate questions then listen to the answers. Thereafter, it should be about unscripted dialogue. Good telemarketers will know when to default to booking a meeting to discuss the subject more (a close) and when to suggest a trial or some other solution. Remember, if they believe that you’ve told them everything over the phone, why would they need to meet you? Telemarketing tips and techniques are useful to help you build rapport. Some things aren’t just intuitive. For example, being enthusiastic about what you say is important. Who wants to listen to Mr or Mrs Boring on the phone? What does this say about your company? We also don’t want stiff and scripted speech. We want natural conversational and compelling language and a confident manner but not cockiness. Good telemarketers also pick up on pace and tone. The prospect doesn’t want to feel like they’ve encountered a smarmy salesman spraying them with sales speak from Room 101 of telephone sales. The use of appropriate listening techniques such as summarising, Ums and Ahs and pauses all help the caller to build rapport and trust. Remember that if they don’t like you, they won’t buy from you. So, work on your rapport techniques but be genuinely interested. Senior people can easily see through shallow contrived attempts at using telemarketing techniques. Unless you’re natural, you won’t get deeper into the call to give you a chance at achieving your objectives. I mentioned the “What’s in it for me” principle earlier in this article and it warrants a second mention here. But it isn’t as simple as it sounds. It isn’t simply about incentives and offers. That might just about work on b2c and low level b2b high volume lower value calls. It is likely to fail miserably when it comes to high value telemarketing into senior decision makers in large blue chip organisations. You need to consider people’s business and personal motivations. It isn’t only about a way of providing them a cheaper alternative to what they’re already doing. Or a faster way to deliver something. Looking at it solely from that perspective is short-sighted. Of course, these factors may play a part but looking a bit deeper into the psychology is useful. All humans have a need to feel respected; this includes the need to have self-esteem and self-respect. Esteem presents the typical human desire to be accepted and valued by others. People with low self-esteem often need respect from others; they may feel the need to seek fame or glory. The above includes confidence, sense of achievement and commanding the respect of others. These are all important aspects of human needs. Put this in context of a telemarketing call and you can start to understand more buyer motivations. It isn’t just about your widget being better than the current one they’re using. It’s about how the buyer will be perceived in the organisation when they bring to the table a better widget and a better solution. It’s when a manager takes a good idea to his or her boss. It’s the prospect of greater recognition, remuneration and ultimately promotion and esteem. It might be about removal of risk. Imagine that you provide a great solution that reduces the Facilities Manager’s risk of negligence in the building whilst at the same time improving compliance and reducing unnecessary resources. Reward is connected to relevance but you need to remember here that you’re talking to people. They have feelings and their own personal goals. Rewards come in different forms and the more you can understand that it’s about how you help them get what they want, the more you will understand reward and the more you will sell to them. Their challenges are typically likely to fall into three categories. If you use these telemarketing tips and can connect with those and remove or alleviate their pains, you will deliver the kind of rewards they are looking for. 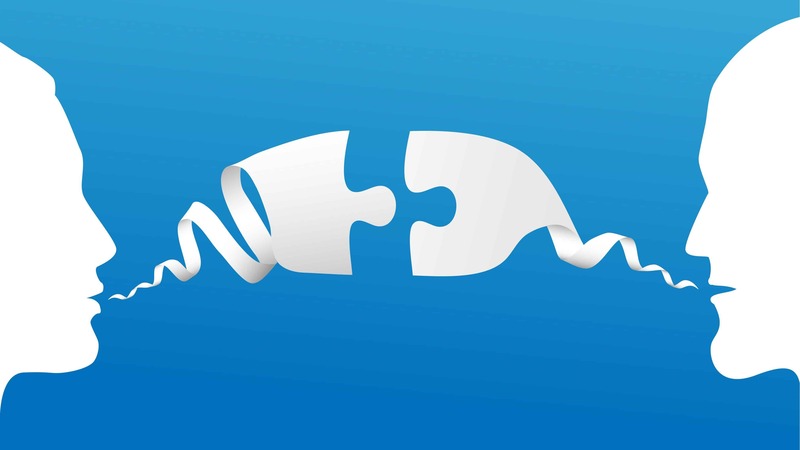 Telemarketing isn’t just about cold calling. Yes, the calls may initially be cold. However, effective telemarketing is all about understanding the importance of relevance, rapport and reward.